Thank you all so much ! I love you ! You know, I’ve always wanted to write what’s on my mind , just like if I am cleaning it from all what makes it busy. I tried to have a small secret diary. However, I didn’t like to write everyday before going sleep because I was always tired or lazy to do it. When I write or talk I feel more calm and at rest. As if I was holding heavy things and I let it down. Unfortunately, I didn’t have who listen to me all time . Although my mum helped sometimes, my friends and many people, but as I was growing up I found that those people started to decrease. My thoughts grew up with me, finding non to understand it, or barely understand me. So I thought about doing it by myself. As if non can understand me, at least I do. Dad also encouraged me to do it as a way of making him remember or know the important notes as fee school payment or so on ( stuff that I didn’t even find it match me but him). So I started to translate the idea to be for me! I started to write a diary ( semi- diary actually 😀 ) at the age of 12. I bought a sweet agenda, with all the stickers, colorful pens. However, as it was a good idea for most of times but not always. As I started to find myself going crazy. 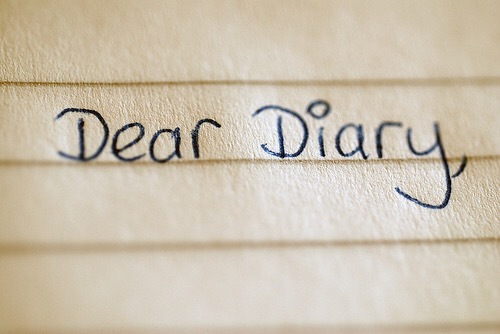 I wanted always for a good advice at hard days and for sure the diary couldn’t. It couldn’t tell me well done at doing improvements or blame me for bad things. I started to need a real person. I also was in a relation ship that I heard before that relationships give type of support that I didn’t even know 😀 . A near by neigh our or family member to be always for me. It was only me.